In October 2016 Our soft landscaping scheme at project The Brook, Tunbridge Wells (see previous post) was nominated and then received a Royal Tunbridge Wells Civic Society (RTWCS) 2016 Award. 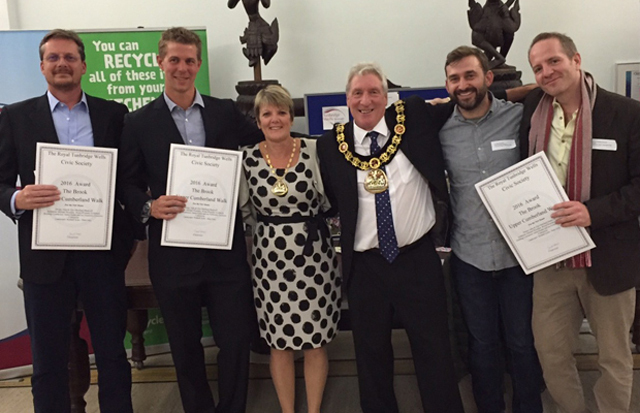 I was invited to collect our award along with the Architect, Building Contractor and Client at the RTWCS annual awards ceremony. 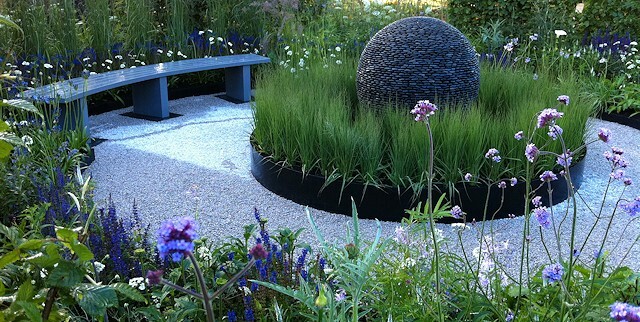 The panel particularly liked the overall garden design and planting scheme, very nice comments to hear. Great clients and a special project to be part of. Another rather special event happened in 2016. 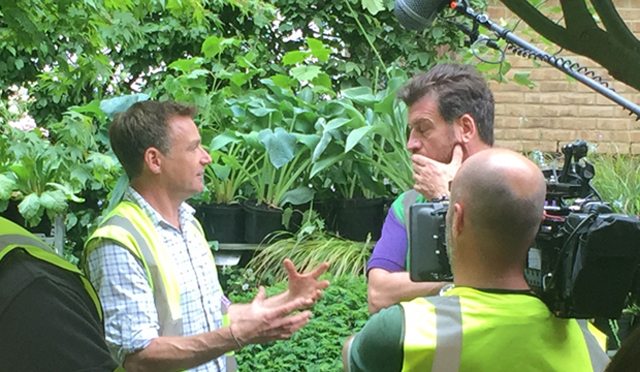 Both myself and the team also appeared on the BBC1’s DIY SOS ‘The Big Build’ where we assisted with the relocation of Chris Beardshaw’s Gold medal winning Chelsea show garden to the Great Ormond Street Children’s Hospital. 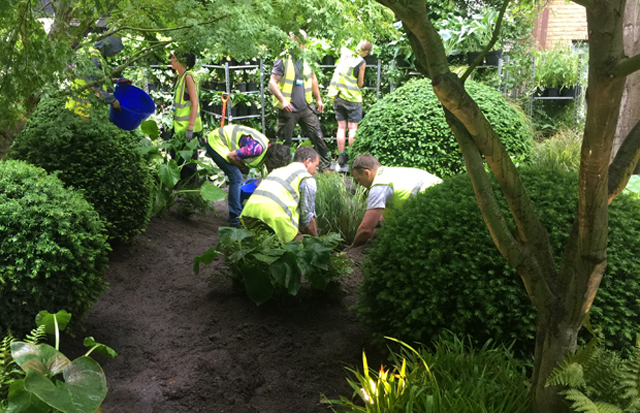 Whilst on site we assisted with various soft landscaping aspects which included moving the additional 14 tonnes of soil that was required, delivering, setting out and planting of the garden. It was a very special and rewarding project to part of and a great experience for all involved. During 2016 a new member also joined the team, Steve Gardiner. 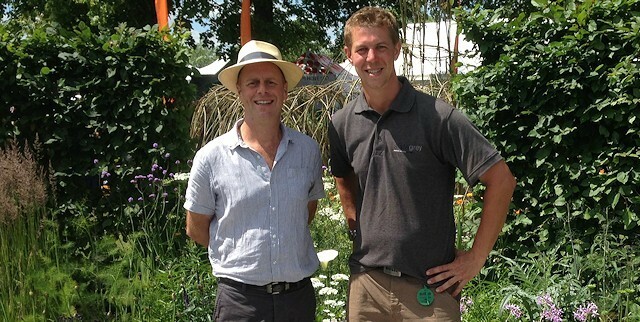 Steve is a very experienced and talented site manager and it’s very nice to have him on board with us. He has already completed several high quality projects and we have lots more lined up for him! The team received numerous compliments last year both from clients and members of the public for their hard work and efforts on site. With a very healthy looking order book and several projects already underway, 2017 looks set to be another great year for all of us here at Slate Grey. If you are contemplating a new garden, please do feel free to contact us to discuss your requirements and arrange an initial site visit from myself or one of our designers. Many of you will have heard of the champion of consumer choice, Which? magazine. Well Which? have ventured into the trusted trader market and are now putting their name to a selection of strictly vetted businesses across the UK. The vetting process involves supplying trade references, at least 10 client references and also passing a strict two-hour assessment in which all accounting, insurance, contracts and general business administration is checked. It really is very thorough indeed! So here at Slate Grey we are very pleased to confirm that we have passed the Which? 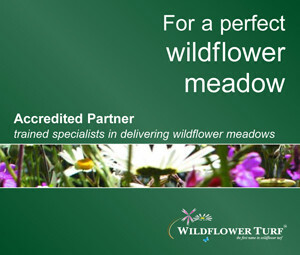 Trusted Trader vetting process and are now full members of the scheme; this should give any potential and existing clients that all important peace of mind that comes with a recommendation from a trusted source. Visit our Which? Trusted Trader page for more details. We were invited to create a show garden for the Blenheim Palace Flower Show in February 2014, our design was called ‘Inner Space’ and the theme was ‘Mysterious Seclusion’. 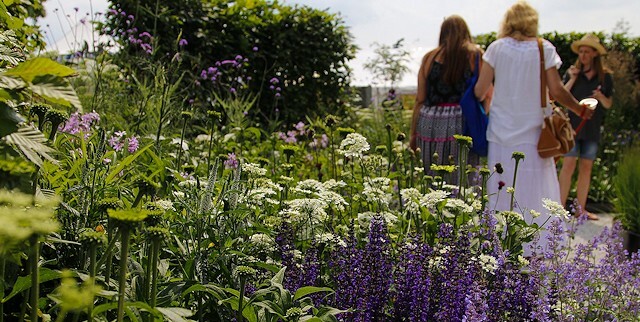 The design incorporated over 1400 plants, 18 metres of mature hedging, a limestone path, preformed steel edging and David Harber’s ‘Dark Planet’ sculpture as the centrepiece. All our hard work on the design, preparation and build was rewarded on the Friday of the event when we were awarded both ‘Best in Show’ and ‘Garden Designer of the Year’. 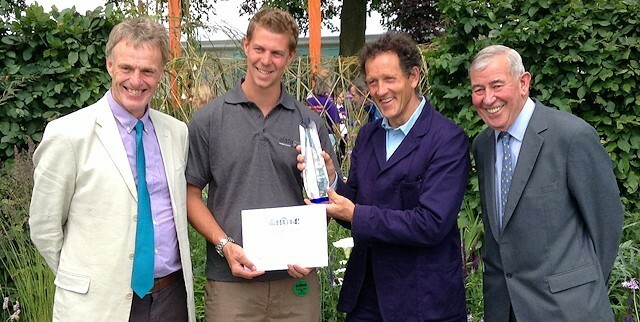 The awards was presented by garden writer and tv presenter Monty Don, and Judges Tim Miles and Jim Buttress who were very complimentary about the garden we had created. During the weekend we were delighted to speak to so many visitors and receive so many great comments from them all, it really made all the hard work worthwhile. 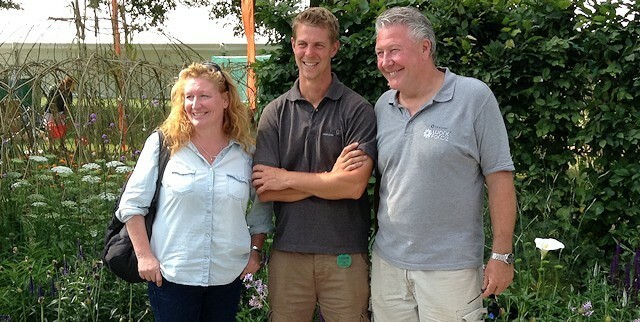 We also had visits from Joe Swift, Charlie Dimmock and Tommy Walsh who were all equally complimentary and enjoyed spending time with us in the garden. Overall, The Blenheim show attracted around 40,000 visitors and the weather was stunning – all in all a perfect end to all the effort put in by the Slate Grey team and also our sponsors to whom we would like to say a big thank you. Our sponsors were: CED Ltd, David Harber, Kinley Systems, Ready Hedge and Woottens of Wenhaston. We are also very grateful to Aztec Events and Blenheim Palace for putting on such a fantastic show.